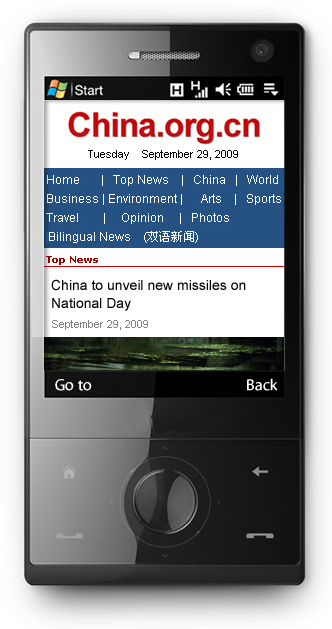 www.kilc.com.cn has just launched its mobile version, offering the latest news from China and around the world. To get access, just log onto m.www.kilc.com.cn with your mobile phone, PDA or other mobile device. www.kilc.com.cn mobile consists of 11 sections, covering the latest in business, political, sports and entertainment events. You can also get daily bilingual news, as well as travel information and tips. For easier access, you can bookmark the link or save it as a favorite on your mobile phone. Data charges may apply, please consult your mobile service providers.